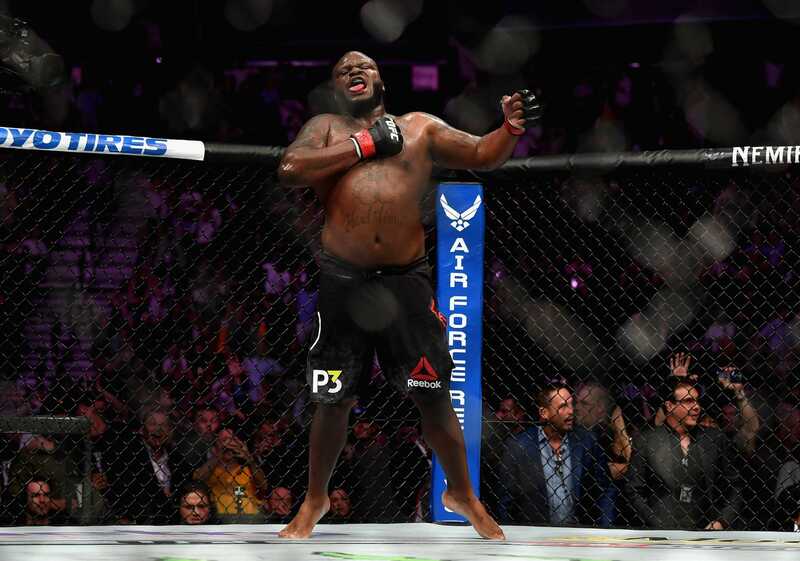 Photo by Harry How/Getty ImagesDerrick Lewis. Lewis had just come-from-behind to deliver a savage knockout, finishing Alexander Volkov in the final minute of their wild UFC 229 brawl on Saturday. Lewis has trebled the amount of Instagram followers he has in a matter of days. He also has a UFC world heavyweight title shot against Dan Cormier at UFC 230 next month. Derrick Lewis secured an incredible victory when he came-from-behind to finish Alexander Volkov in the final minute of their UFC 229 clash on Saturday – and he now has a UFC heavyweight world title shot in three weeks’ time. The American power puncher had little name value around the world before Saturday’s showdown. Days later, he trebled the amount of followers on his Instagram account – he currently has 1.2 million fans. And he has now been awarded a world title shot against reigning UFC heavyweight champion Dan Cormier, but the catch is that the fight will take place on November 3, at the UFC 230 event that takes place at Madison Square Garden in New York. This leaves Lewis with less than a month to prepare for the biggest fight of his life. The UFC boss Dana White reportedly confirmed that “the fight is done,” according to ESPN journalist Brett Okamoto. Prominent MMA reporter Ariel Helwani also tweeted about the event. Lewis has previously said he wanted to knock Cormier out, and it’s all because he apparently “disrespected” Popeyes chicken – a fast food outlet that both heavyweights seem to enjoy.